Stephenson is the final defense witness in the antitrust trial in which the US government is seeking to block the $85 billion tie-up. 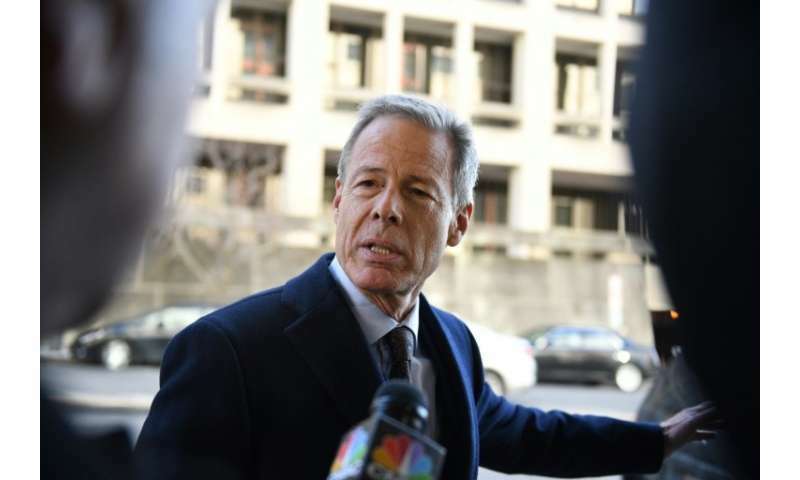 He testified that the group which operates pay TV and wireless networks would boost the value of Time Warner's programming and other content by giving it wider distribution. "It's not really that complicated," Stephenson said in US District Court in Washington, during the highest-profile antitrust trial in decades. "The value of a content company is a function of how many people watch it." The chief executive said Time Warner's content, which includes the Turner cable channels including CNN, Cartoon Network and the premium HBO channel are "underutilized" and would benefit from AT&T's broad networks that deliver programs over wired and wireless networks. Stephenson said AT&T's strategy revolves around getting more people to watch video on mobile devices, and that to do that, "we concluded we needed to own content." He echoed comments from Time Warner CEO Jeff Bewkes, who testified a day earlier that the media group has difficulty competing with Silicon Valley giants which can use customer data to offer better programming as well as targeted advertising. Stephenson said by some measures the Time Warner operations have already been overtaken by online platforms like Netflix and Amazon, each of which have more than 100 million video customers. A combined AT&T and Time Warner would better compete by developing "vertical integration"—controlling the production of content as well as its delivery, according to Stephenson. "Netflix is investing billions of dollars in original content," he said. Because internet services track people's viewing habits, he said, "they can use that data to formulate what content to deliver." Similarly, he said a merged AT&T and Time Warner could better compete with Google and Facebook, which use mountains of data about users that help them formulate targeted messages. He said television advertisers are shifting more to digital services and that "we would like to compete for their ad dollars." With better ad revenues, Stephenson said AT&T could keep a lid on subscription prices, contrary to the government's argument that the tie-up would lead to higher prices. "To the extent that you can generate higher yields in advertising, the less you have to charge subscribers," he testified under questioning from attorney Daniel Petrocelli. Asked about the government's claim that the merger would cause a rise in prices for Turner content, Stephenson called the argument "absurd" because the channels have an interest in being on all platforms. He maintained that if the merger goes ahead, AT&T would set up separate business units for the content and delivery systems, so that deals could be made with rival pay TV systems. "We have a lot of experience serving customers that are also our competitors," he said. 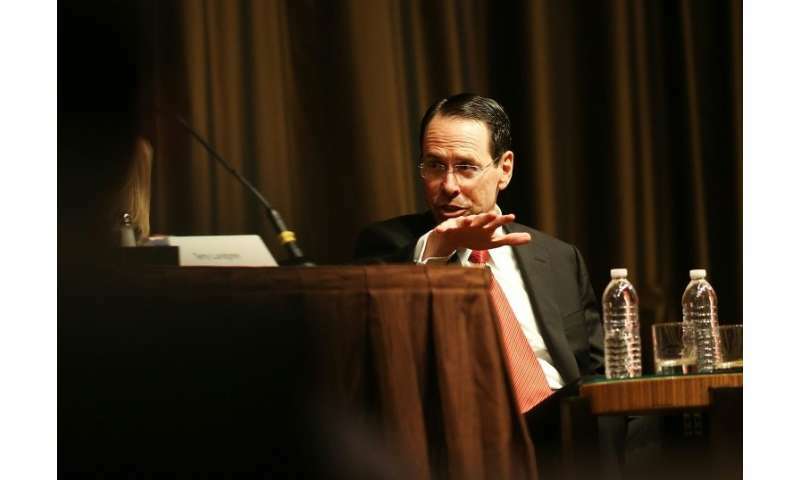 Under cross-examination from Justice Department lawyer Craig Conrath, Stephenson acknowledged that AT&T has raised prices in recent years, but attributed that to higher content costs. "As more competitive products enter the marketplace it's getting harder and harder to pass those costs on," he said. He also conceded that Amazon and Netflix don't have the same vertical integration that AT&T would have because their content passes over "somebody else's broadband service." The US Justice Department is seeking to block the deal announced in 2016 by AT&T, one of the largest pay TV and telecom operators, with the media-entertainment powerhouse Time Warner. The trial—which began last month in Washington before Judge Richard Leon and may end next week, with a decision several weeks later—is seen as a test for the traditional media sector in the face of rising power of tech firms. The government maintains that most Americans still watch traditional television through cable bundles, and presented an expert who claimed fees could rise by about $400 million a year if the merger goes ahead. The case is the highest-profile antitrust battle to hit the courtroom since the Microsoft trial in the 1990s and the first involving a "vertical" merger of companies which are not direct competitors in an industry sector.